The ban on construction activities and industries using coal and biomass was imposed till Saturday and that on entry of heavy vehicles till Sunday. 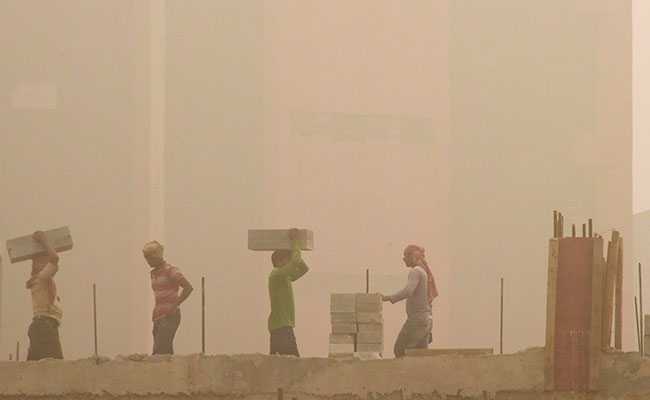 The Environment Pollution Control Authority extended on Saturday the ban on construction activities, industries using coal and biomass, and entry of trucks till November 12 due to high pollution levels in Delhi. The bans were extended by the Supreme Court-appointed agency on the recommendations of a Central Pollution Control Board-led task force, which reviews the national capital's air quality. "It was observed that PM2.5 concentrations have been exceeding 300 µg/m3. As such the 'severe plus' situation has continued for 37 hrs. Therefore, the task force recommends that ban on construction activities, industries using coal and biomass and entry of trucks, which are in force, should continue till November 12, 2018," the task force has recommended to the EPCA. PM2.5 are particles in the air with a diameter of less than 2.5 micrometres. The Environment Pollution Control Authority (EPCA) agreed to the recommendations of the task force and has directed authorities to extend the ban till November 12. "The EPCA has written to authorities concerned to extend the ban on construction activities, industries using coal and biomass and entry of trucks till November 12," a member of the agency said. Special emphasis has also been given to extend the closure of the Mundka industrial area where during inspection massive amounts of industrial waste was found, he said. Delhi-NCR recorded its worst air quality a day after Diwali. The air quality index was 642 and in the 'severe' category. On Friday, the air quality remained at 'severe' and improved to 'very poor' category only on Saturday.